Golden Dreams Home Care LLC has been providing quality one-on-one home care services for over a decade. Golden Dreams’ flawless reputation has been built by the quality care we provide and our dedication to our clients’ changing needs. Promoting dignity and independence, we offer a wide range of services guaranteed to meet your needs. 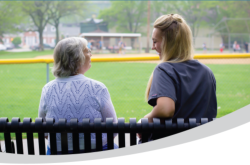 We work closely with families to ensure the best care plan, and provide the most suitable caregiver, in order to meet our clients’ individual needs; wherever our clients call home. Our services include long-term or short-term care, be it in Assisted or Independent Living, your personal residence, a nursing home, or while in the hospital.